What is your reception vision? So, which is it? Is it people eating or a great dance party? It is remarkable how many couples are vague with their planning. Planning for success is crucial, especially with the music. I think most feel that it will just take care of itself or they will figure it out as the night goes on. But the questions you should be asking before the wedding will be harder to answer during the reception … not to mention add stress while you are trying to have fun. Without detailed planning, you leave your party up to chance. It might turn out to be incredible. It might flop. Or it might be average. The outcome of your reception will be different in the eyes of everyone who attends. You can’t please everyone; however, the better the plan, the better chance of success you will have. An experienced planner can help you plan, organize, and execute your wedding, which will relieve you of a lot of stress. 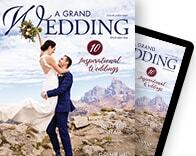 Finding the right planning assistance should be a fun step in your wedding process, and there are many experts in Jackson Hole. Keep in mind: Your wedding reception is not a food function. It is an entertainment function. The food is just one part of entertaining your guests. According to Modern Bride Magazine, most couples spend only 5 percent of their budget on music. They spend 83 percent on the ring, reception hall, catering, and bridal attire. Typically, couples spend more on the appetizers than on the DJ. At the end of the night, or five years down the road, what do you want you and your guests to remember the most? The half-eaten appetizers or the party? 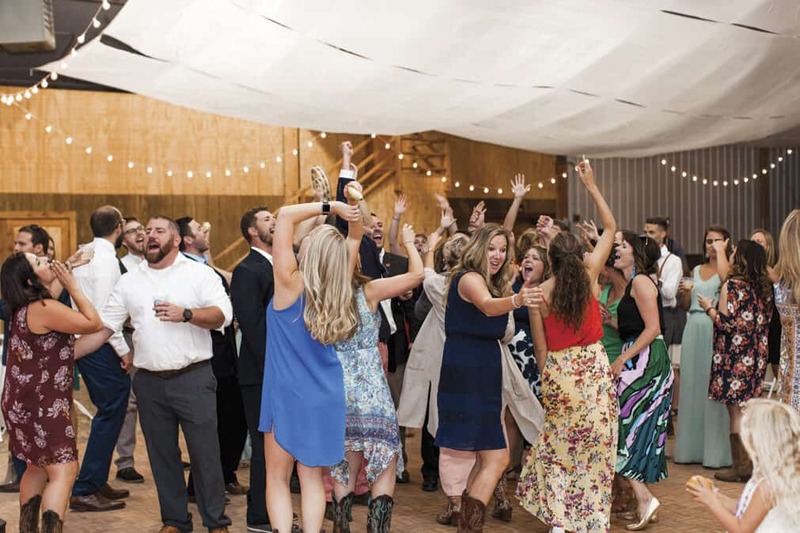 According to Bride Magazine, following the reception 38 percent of people remember the music while 8 percent remember the catering. In other words, no one leaves a party early because of the carrot sticks, but they might if they don’t care for the music. While you may not have a choice about the cost of the appetizers or the DJ, you do need to consider which one will have the bigger impact on the overall success of your wedding. If music is crucial, consider allocating more for entertainment than things your guests may not remember. Your reception is about you and your union. It is about you spending time and celebrating with your friends and family members. When it comes time to select your music, pick what fits you as a couple, but also keep in mind your guests and their tastes. A party made up of guests who are over 40 may not want to hear rap music all night. Variety will be important to keep the dance floor hopping. Overplayed, old, or corny, cliché wedding songs are those you typically hear at weddings. We all have songs we are tired of and prefer not to hear. 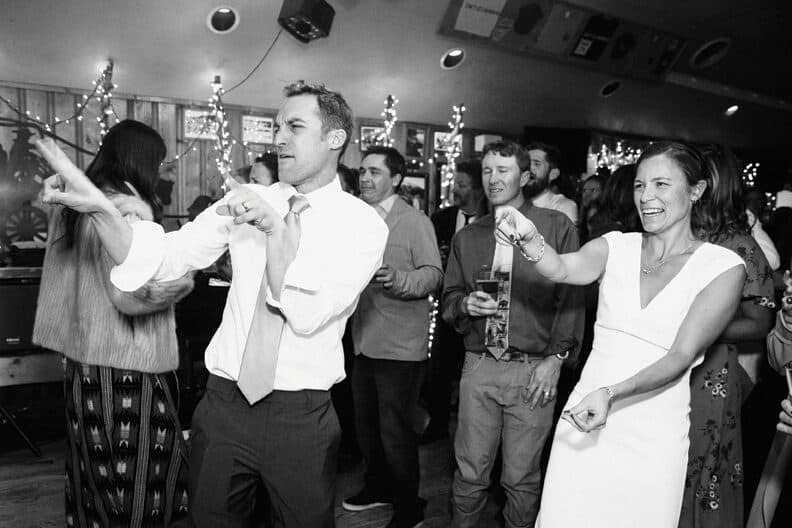 Be sure to make a list of the songs you do not want played at your reception, but give your experienced DJ license to pull out an old favorite or two to get people onto the dance floor. Develop a request list of ten to twenty songs and organize it by cocktail hour, dinner, and dancing. Any more than that and the DJ will spend more time looking at your list than reading the crowd. 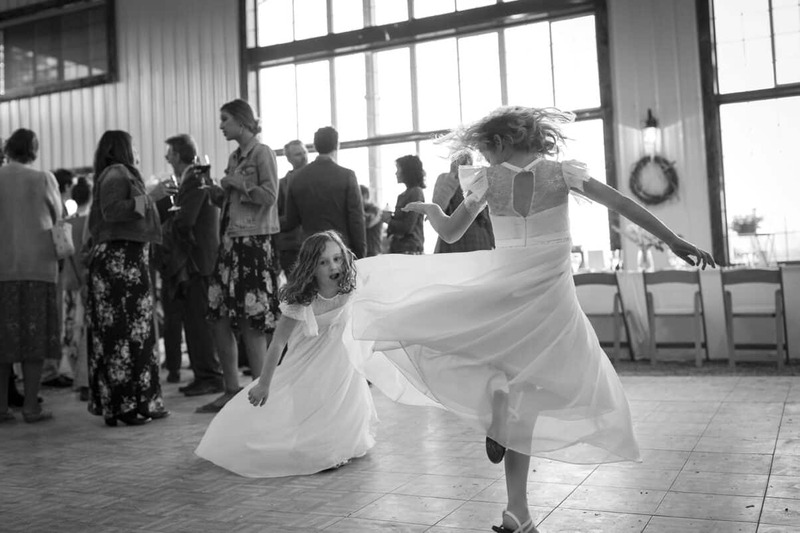 Remember: During the dance portion of the reception, these songs must be danceable! It is crucial that your DJ gets a sense of your musical taste prior to the event. Knowing the kinds of music you like and don’t like is key. For example, you might like music from the ’80s, but four kinds of music came out of the ’80s: pop, rock, alternative, and new wave. What types do you like and dislike? You might tell your DJ that you like ’80s pop and alternative but less rock and new wave. Be as specific as you can be. Everyone knows that the longer you work at a job, the better you get at it. A wedding DJ is no exception. Knowing what to do in different situations takes trial and error. Trust your DJ’s judgement and let him use his experience to read the crowd. A common mistake is when the couple tries to plan the music or entertainment too much. At any moment during a wedding, the planned itinerary can change. 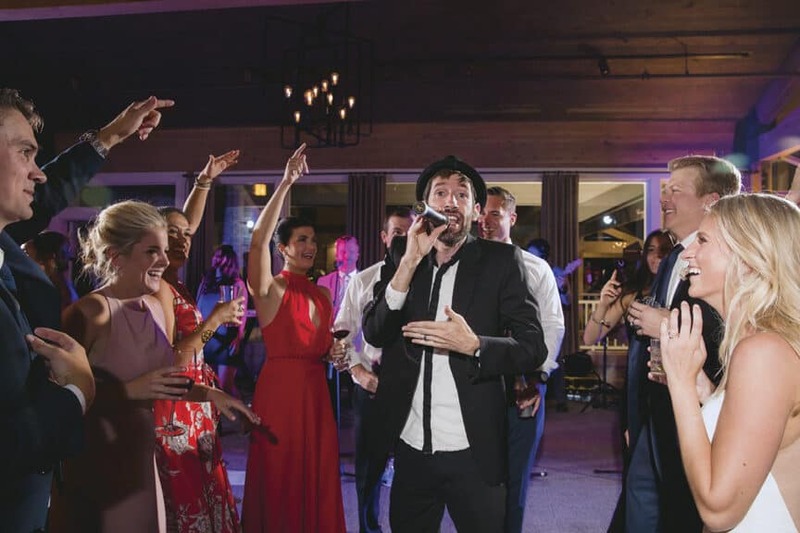 An experienced wedding DJ doesn’t panic, knows how to roll with it and how to make the best of the situation … or possibly even make it better. When you book your DJ, make sure you are hiring an experienced wedding DJ. The DJ and, more importantly, the speakers need to be close to the dance floor. The farther away the DJ is from the action, the louder it must be. You don’t want the DJ projecting over dining guests, so plan for the DJ to be near the dance floor. And, while you’re mapping out the reception location, make sure the bar is in the same room or area as the dance floor; separating them will divide your guests. Many couples tell me they want little or no DJ interaction on the dance floor—just play music. In my experience training DJs for the past 20 years, I have noticed that an interactive DJ is more confident in his ability in front of a crowd and typically cares about the party being successful. In other words, the DJ will do whatever it takes to make the party happen. Non-interactive DJs tend to be less confident and less versatile. There are a few advantages to hiring a DJ over a band. A DJ can play all kinds of music—from hip-hop to jazz to boy bands. A variety of music can help everyone at the party have a good time. With a DJ, there are no breaks in the music. When there is a break in the music, there is a break on the dance floor. Since you have the venue for only a certain amount of time, you’ll want to maximize its use. And, trust me: It is amazing how fast the time flies! If you choose the band option, consider hiring a DJ to play during the band’s breaks, so the party can continue. When looking for music, do your homework and book early. Remember to be explicit with your party vision. Allocate enough budget so you can hire an experienced DJ. Trust that your experienced DJ will know what to ask, how to help you through the planning process, and how to give you the best dance party. Tyler Brooks is president of A&B Productions, a DJ entertainment company based in Idaho Falls that serves the Jackson and Teton Valley areas. With more than 30 years of experience as a professional DJ, Brooks’ passion is fulfilling his clients’ party visions. Check out his website at abpdjs.com. Follow him on Instagram: a.and.b.productions and abpweddingplanning. Read his wedding and school dance blogs at abpdjs.com/weddingplanningblog. Or follow him on Facebook: facebook.com/AandBProductions1987. For additional questions, email him at tyler@abpdjs.com.